Sour cabbage is also known as sauerkraut. There are many health benefits of this vegetable, most of which have been proven. Most importantly, it can be beneficial in preventing heart attack, stroke and cancer. It can also help in improving your digestion. Sailors of the old days made sure that they always carried sauerkraut with them because of its high vitamin C content. It was an essential part of every cruise. It was an effective prevention against scurvy that has long been known to be caused due to deficiency of the vitamin. 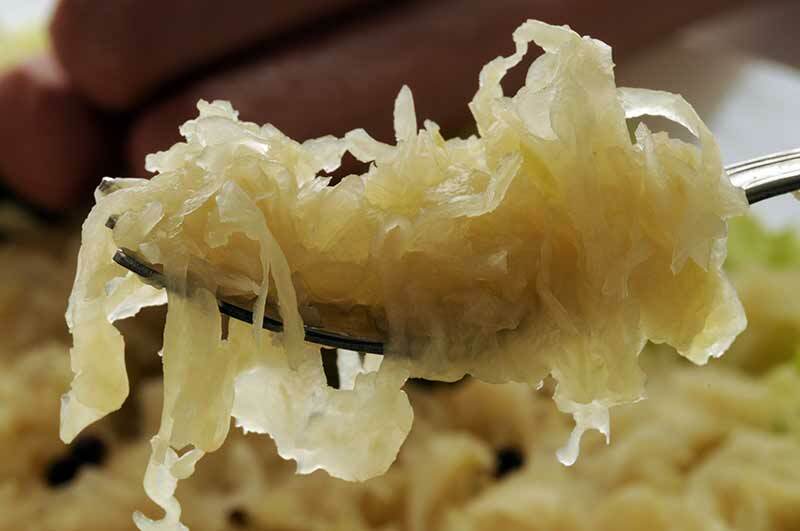 Sauerkraut gets its probiotic benefits due to the process of souring. Natural fermentation of these veggies helps in providing good bacteria to your digestive system. It is always recommended to take it after you have taken antibiotics. This will help in restoring the healthy bacteria in the intestines. Isothiocyanate – The vegetable is rich in isothiocyanate, which is known for its powerful anti-cancer benefits. Glucosinolate – This substance in sauerkraut helps in activating the natural antioxidant enzymes in your body. Flavonoids – The vegetable also contains flavonoids that help in protecting your arteries against damages or from narrowing down. The vegetable is also rich in minerals which are beneficial for your bones. They help in preventing the development of osteoporosis. The vitamin K content helps in keeping your bones healthier. This vitamin works by regulating the production of proteins. These proteins are required for maintaining mineralization in the bones. So make sure to include sauerkraut in your regular diet! Baking Soda Shampoo – Homemade Shampoo That Will Save Your Hair! Nice blog . Very effective and useful for health lovers.